Since 2002, JOI coordinators have reached more than a million Americans in the South and Midwest of the country. Learn who these impressive cultural ambassadors are and how they have impacted—and continue to impact—their U.S. communities. 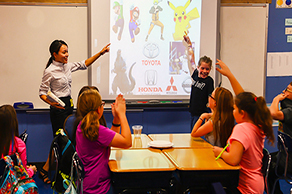 From planting elementary school students’ first seeds of interest in Japan to strengthening sister city/state relationships and linking high schools and colleges with partner institutions in Japan, JOI coordinators bring Japan and the U.S. closer, one person at a time. Learn a bit more about past JOI coordinators along with their activities, impressions, and impact by perusing the biographies and reports below. Nina was born in Osaka, Japan. When she was seven, she had her first opportunity to speak with English-speaking people. Though she could only introduce herself, she was surprised and happy to communicate in another language. Nina became interested in English and pursued international studies. 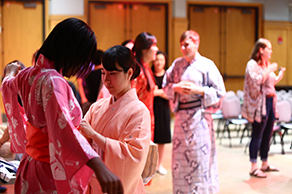 While a student at Ritsumeikan University, she joined a program for international students to study Japanese and experience Japanese culture. As a result of this enjoyable volunteer experience, she went on to work in customer service for a hotel in Kyoto after graduation, helping to introduce Japanese culture to visitors from around the world. However, eventually she felt she wanted to share Japanese culture on a greater and deeper scale. Now, her aim is to create as many fans of Japan in Texas as possible and help people enjoy experiencing Japanese culture. Nina ultimately hopes that through her programs, more people will want to visit Japan. Minae is from Okinawa, the beautiful southernmost islands in Japan. She studied English culture and communication at Okinawa International University. During university, she studied abroad in Victoria, Canada for a year. From that experience, Minae became more interested in Japanese culture and international cultural differences. She also studied Japanese teaching as her minor and worked as an English teacher at an elementary school in Japan. 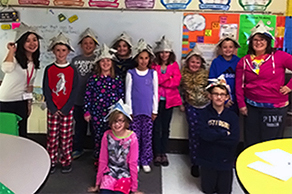 This gave her the opportunity introduce cultures from other countries to Japanese children in the class, and she realized it would be exciting to promote Japanese culture overseas as well. She believes that exchanging culture broadens our horizons and helps us be more open-minded. 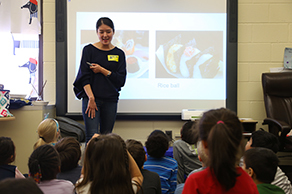 As a JOI coordinator, Minae aims to reach people of different generations through her activities, and improve understanding between the U.S and Japan in Virginia. Masahiro Yamaguchi is from the Kansai region and spent most of his time in Kyoto and Shiga. Growing up, he was encouraged to learn about other cultures and to contribute to his community through volunteering and rescuing animals (11 dogs and 20 cats, so far). In addition, he has visited 15 countries, including studying abroad in Moscow when he was a student at Kyoto Sangyo University. After graduating from university, he worked in business in Kyoto and Tokyo for two years but wanted to do more as a volunteer or cultural ambassador. Masahiro was motivated by interacting with expatriates and tourists as they faced various challenges in Japan. When he discovered JOI, it seemed like an ideal opportunity. 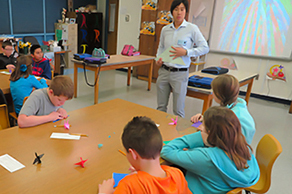 As a JOI coordinator, he hopes to serve as a bridge between Japan and West Virginia and to nurture cultural awareness. 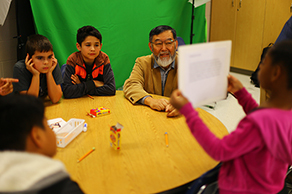 Currently, he is working with local educators to improve Japanese cultural studies in the region. Chiemi is originally from Yamanashi Prefecture. 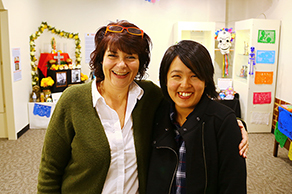 Inspired by her junior high school English teacher, she became interested in other cultures and speaking English. After studying Music Education at Shinshu University, she was a music teacher and children's event organizer for over seven years at an elementary school and outdoor activities company. She then volunteered as a teacher in Cambodia with the Japan International Cooperation Agency (JICA), an agency similar to the Peace Corps. She learned the importance of respecting the lives and cultures of other people. She also practiced Japanese culture, primarily traditional Japanese musical instruments, since she was a child. She would like to share these experiences with many people of various generations and backgrounds in Arkansas. Chiemi hopes that by teaching about Japan, people will develop more global and kind perspectives. She believes that having an interest in one's own culture is the first step for the world. Airi Mori was born in Hokkaido, northern Japan. She is very active and has been brimming with curiosity since her childhood. Throughout her life, she participated in many international programs. She won first place in an English Oratorical competition in middle school which allowed her to visit Lexington, Kentucky. She won another competition in high school and travelled to Portland, Oregon as a Sister City Cultural Exchange Ambassador. Ms. Mori has a double major in English Education and Japanese Language Education from the Hokkaido University of Education. While in university, she was chosen as a Japanese Language Teaching Intern at Alaska University in Anchorage. After graduation, she went on to work as a teacher at a Japanese elementary school in Singapore. Graduating from the Tokyo Institute of Technology with a degree in Engineering, Yoshio spent 42 years working in international development. Earning a Master of Science degree in Economics in Britain, he started working as a consulting economist in overseas development projects, including a three-year posting in Baghdad, Iraq before joining the Japan International Cooperation Agency (JICA) as a senior advisor at the age of 40. Over the course of 24 years with JICA, he was stationed in Mexico for four years and in Hungary for two years as a long-term policy advisor. After retiring from JICA, he became a Japanese language teacher, since he likes teaching young people overseas. Yoshio found that JOI is an ideal chance to utilize his past experience. 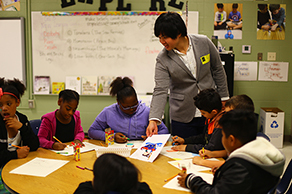 As a JOI Coordinator, his aim is to create links and partnerships between APSU and Japanese businesses in the region, which represent the largest contribution to job creation among foreign businesses in Tennessee. 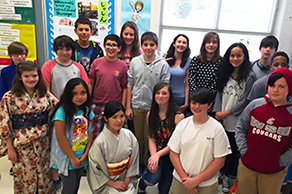 Yoshio also offers a free Japanese Language and Culture class once a week for students and the community. Shintaro “Shinn” Takase was born in Kyoto. During his elementary, middle, and high school education, he participated in many international education activities which instilled in him a fondness for international travel, learning new languages, and living in America and other countries. Shinn enjoys practicing karate, playing rugby football, and is passionate about travel and enjoying local foods. In university, Shinn decided to major Education and English with the goal of being an English teacher in Japan. After graduation, he continued his education studies as a graduate student at Kyoto University of Education. In 2015, he taught Japanese to high school students in Portland, Oregon. In 2016, while teaching English at a high school in Japan, he completed his postgraduate thesis and applied for JOI Coordinator. In August of 2017 he returned to the United States as a JOI Coordinator. He aims to expand and strengthen the understanding of Japan at the local level, and to foster networks and capacity-building to support U.S-Japan exchange and outreach. Nana is from Ibaraki Prefecture, a state-like area north of Tokyo. 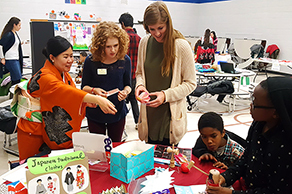 Interactions with JET Program ALTs (Assistant Language Teachers) at junior high school broadened her horizons and made her interested in intercultural exchange and language acquisition. She received a BA in English from Tsuda University, where she pursued her interests in communication, Japanese language education, and translation. After graduation, she worked for a local food factory with people from many different backgrounds. Nana became a JOI Coordinator hoping to inspire others to become interested in Japan and the world, just like the ALTs inspired her years ago. Kanako is originally from the city of Toyota, Aichi Prefecture. Her childhood encounter with some children from abroad whose parents worked for Toyota Motor brought her curiosity about the world. After graduating from Ritsumeikan Asia Pacific University with a bachelor degree of Business Administration, she spent nine years in Tokyo as an international sales representative for a Japanese power equipment manufacturer. Through her business experience mainly in European and Australasian markets, she learned the importance of mutual understanding in global society. Kanako became a JOI Coordinator to take on the challenge of working in citizen diplomacy in the U.S, learning about international relations, and enhancing her skills abroad. 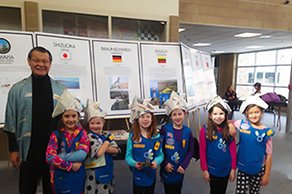 During her two-year assignment, the state of Michigan and Shiga Prefecture will celebrate 50 years as sister states. In addition to enriching the sister state relationship, Kanako aims to provide opportunities to people in her area to learn about Japan and foster greater interest in the world. Chinatsu was born in Sendai, Miyagi Prefecture. While in high school, she studied abroad as an exchange student in Australia for 11 months. After studying English Education at Dokkyo University, Chinatsu worked for a travel company in Tokyo as a sales representative for international cruise companies and traveled extensively around Japan organizing shore excursions where she could meet guests and crews from all over the world. Even though working with cruise lines was a great opportunity, only licensed guides were allowed to tour with passengers, many of whom held stereotypes and particular presumptions about Japan. Chinastsu wanted to engage more with people internationally and contribute to a better understanding about Japanese culture. 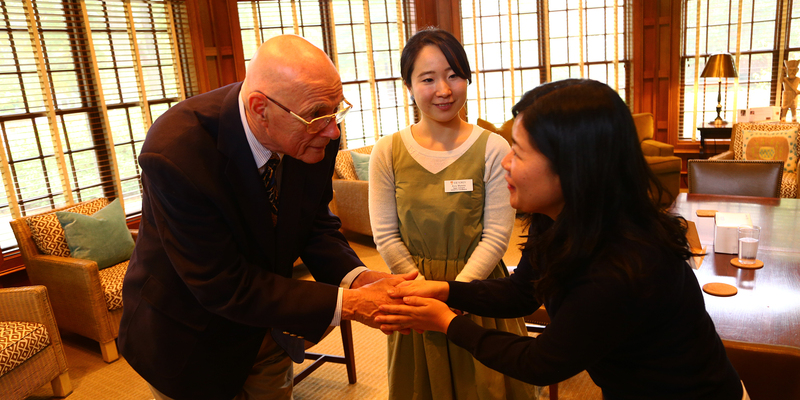 Through the JOI program, she hopes to meet people as many people as possible in the United States and help them gain a better understanding of Japan. From Fukui Prefecture, Ayako's father started teaching her English when she was little, sparking an interest in other cultures. Ayako studied in New Zealand for a year during high school. After finishing at Kyoto University with a degree in Foreign Studies, she worked for a bank for three years. However, she always wanted to go abroad and share Japanese culture, so she decided to work as a cultural representative performer for Disney World in Florida. While there, she noticed Japanese people tend not to speak English. She believes that if people are able to speak English, they have more opportunities to interact with the world. 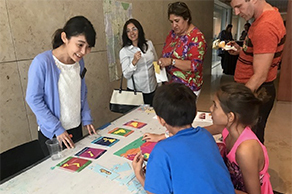 As a JOI Coordinator, Ayako aims to help people in her community become more interested in Japanese language and culture and serve as a connection to Japan and the world for them. Haruhide was born in Abeno, Osaka. When he was in 4th grade, his family moved to Nara, the capital of eighth-century Japan and a city with three world heritage sites. Haruhide graduated from Waseda University with a degree in International Liberal Studies and a minor in Economics. He worked as a system engineer in Tokyo for four years, but his interests shifted to international relations and affairs. After applying to become a Japan Overseas Cooperation Volunteer, Haruhide was sent to Belize in Central America to teach computer skills for two years. His current challenge is to energize American students and the broader community in northeast Ohio with curiosity about Japan. Aya is from Saitama, Japan. She studied Intercultural Communication at Rikkyo University in Tokyo, and studied abroad in New Zealand for seven months. Aya then worked for a Japanese style hotel in Tokyo for three and half years, where she served guests from all over the world, from adults to children, while introducing them to Japanese culture. Through interacting with people from different countries, she grew to understand the importance of multicultural understanding, especially in the field of grassroots exchange. Aya hopes to build her career around connecting people beyond borders, so she is now a JOI coordinator serving as a bridge between Japan and the United States. Akira Akiyama was born and raised in Tokyo. He graduated from Keio University and with Bachelor’s and Master’s degrees in Electrical Engineering, then joined a US-headquartered multinational IT company. He was stationed in laboratories in MN, FL and NC as a liaison with his family for nearly 5 years in total. Living in the US with his family created many delightful memories that stay forever in his heart. After returning to Japan, Akira set a challenging goal: to pass the National Tour Guide Examination administered by JNTO. Akira passed the examination, and volunteered to take several foreign visitors to Mt. Fuji, Kyoto and Asakusa. 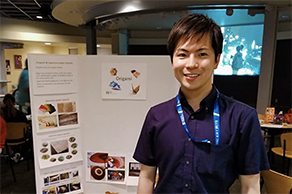 Since his retirement last year, Akira has searched for a way to dedicate the rest of his life to cross-cultural exchange and international friendship. Akira decided to apply to the JOI program to give something back to the US people, who gave him such wonderful memories. He is now confident that the JOI program gives him a perfect opportunity to repay their kindness. Because Iowa has had a sister state relationship with Yamanashi 66 years, AKira also hopes to deepen this mutual relationship. Akira is excited to serve as a bridge between Yamanashi and Iowa for the next two years. Airi is from Hokkaido. She studied Childhood Education at Hokkadio University of Education, and earned an MA in English Education with certificates in Elementary, Jr. High School, and High School Education. Airi has had the opportunity to work and travel in Canada and Australia. While in Australia, she volunteered as a Japanese teacher at an elementary school. Airi loves to travel and experience different cultures. She has experience in and enjoys teaching a wide range of people. She has taught English as a Foreign Language at the elementary and high school levels, and also worked as a Teacher’s Assistant at her former university. She would love to share her interests with American citizens. For example, Airi has experience in karate, calligraphy, tea ceremony, and tying yukata. 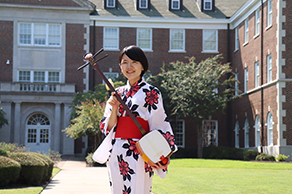 She feels immense pride in her culture, and it would be wonderful if she could teach Japanese culture through activities to many people in Murray, KY. Also, she is willing to create pen pal exchanges, video projects, and Skype meetings between American and Hokkaido youth. Taiki Sawabe was born and raised in Nagoya, Japan. After finishing high school, he moved to the United States in order to pursue his interest in ethnology. Taiki graduated from Wesleyan University (Middletown, Connecticut) with B.A. in Anthropology and Certificate in Middle Eastern Studies. He then worked for a major electronics company in Japan for three years, taking charge of international marketing. Taiki, however, could not give up his childhood dream job, which was to become an elementary school teacher. With his experience in cultural anthropology, he decided to participate in JOI in 2015. Megumi was born and raised in Yokohama, in Kanagawa prefecture. She graduated from Meiji Gakuin University with a Bachelor degree in International Studies. When she was in college, she studied at the University of California San Diego for an academic year as an exchange student. 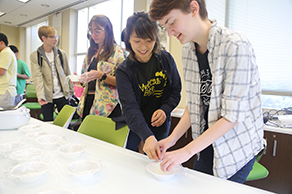 During this time, she participated in various activities to introduce Japanese culture to both Americans and international students from other countries and found it fascinating to see people develop interest and understanding in Japan and Japanese culture through the activities. After graduating from university, she worked for a travel agency in Tokyo, where she had wonderful opportunities to work with people from around the world and found pleasure in introducing them to Japanese culture. This deepened her desire to work in an international scene to build connections between Japan and other countries, so she applied for the JOI program. 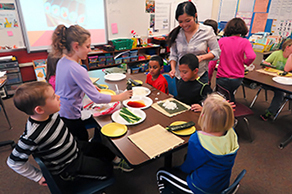 She enjoys interacting with children and finds it worthwhile when she sees the smiles and excitement of children when they learn about Japanese culture. She looks forward to reaching out to more areas in West Virginia and people from various generations and backgrounds through the remainder of her term as a JOI coordinator. Ayane is from Kyoto, a city that was named “World’s Best City” by Travel Leisure Magazine in 2015. She graduated from Ritsumeikan University with a degree in Sports and Society, with a minor in English. 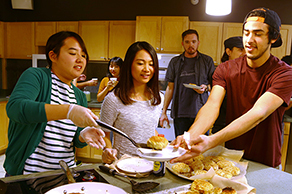 After graduation, Ayane studied abroad in Hawaii, where she discovered the value of immersion in a foreign culture. Upon her return, she began training to teach the Japanese language abroad. 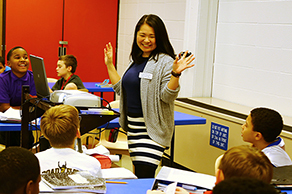 She is currently serving as a Japanese Outreach Coordinator, bringing Japanese culture and language to schools and organizations throughout northwest Ohio. Tadashi spent over 38 years in business, primarily in banking, after graduating from Hitotsubashi University with Bachelor of Science Degree in Economics. During his business career, he visited and lived in numerous countries, including 10 years in the US. As his father was a diplomat of Japan, he also spent several years in Indonesia and India in his childhood. While he was engaged in the international business arena, his desire to participate in an effort for better understanding of Japan with the people of other nations gradually built up. The JOI program came to his attention at the right time. Tadashi is now based at Creighton University’s Asian World Center giving lectures to the students. He is also visiting the local schools ranging from elementary to high schools and other Universities. 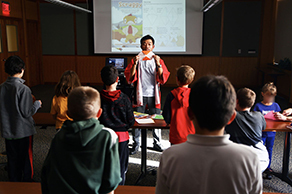 His presentations cover a variety of topics including economy, business, history, mythology and other traditional cultures of Japan, depending on the audience. Lovely smiling faces of elementary school children always remind him of his grandchildren in Japan. He is often invited to participate in the community gatherings and events where he enjoys performing calligraphy, origami, etc. 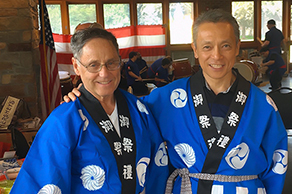 He is recognized as a key member for organizing various events of the Omaha Sister City Association, in which the City of Omaha has the longest sister city relationship with the City of Shizuoka Japan, celebrating its 50th anniversary in 2015.